More than 300 days of sunshine per year, feasible varied activities of leisure all year round, a protected nature, you will appreciate during your stay the exceptional quality of life of the Hautes-Alpes, between the Alps and Provence. 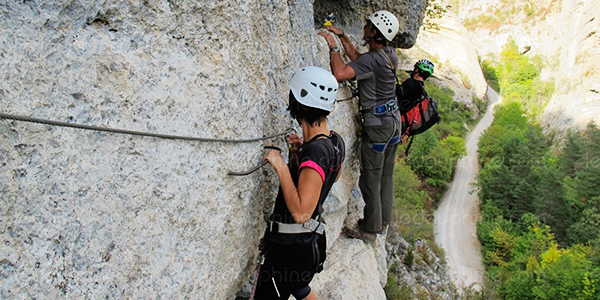 All mountain sports are, of course, most welcome and available in the Hautes-Alpes: hiking, mountain biking, climbing or mountaineering, water sports, paragliding, etc. For hiking, you can the Ecrins Massif, including the Vallouise and Queyras valleys. The Gorges of La Méouge. 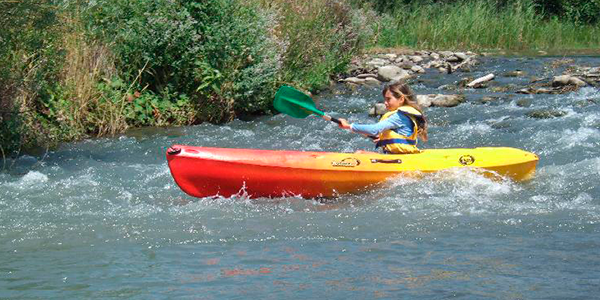 You can also enjoy the leisure and water sports (sliding sports, sailing, power boating, etc.) practiced on the Lake de Serre-Ponçon, the largest artificial lake in Europe, which, every year, attracts many tourists from all over Europe. Via ferratta Gorges d’Agnielles, Dévoluy and la Motte du Caire. 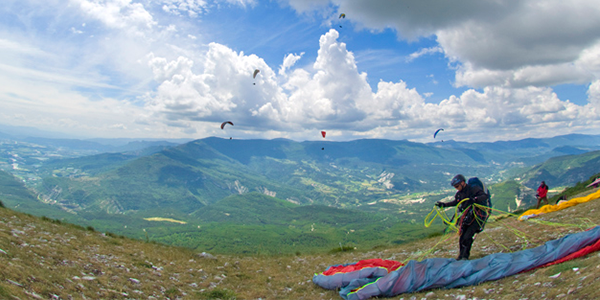 Paragliding and delta activities can be found in Aspres-sur-Buëch, Chabre near Laragne, St Geniez, St Vincent les Forts. From winter until Easter, the ski resorts at La Joue du Loup, SuperDévoluy or Céüse are nearby. You will be captivated by the splendor of the landscape and the variety of sports and outdoor activities, be it cross-country skiing, snow rackets or dog sledding. The Hautes-Alpes offers a wide choice of internationally renowned resorts such as Serre-Chevalier, Vars, Risoul, Montgenèvre or Orcière-Merlette and counts many high mountain sites – La Meije, Pelvoux-Ecrins. To discover the fauna and flora of the mountains and spend a pleasant time with the family, to the Montagne aux Marmottes (The Groundhog Mountain) near the Lake du Sauze. You will discover the marmots, the inside of their burrows that has been glazed. If you visit in June or July, you may be lucky to see the baby marmots. A botanical tour where you can discover the Alpine flora. Finally, the reconstruction of a prehistoric cave will teach you more about our ancestors. This is large park of tree climbing activities offers 6 different circuits that are suitable for the whole family, from 4 years old to the most athletic teenagers, through all intermediate levels. Still you can spend a day in the heart of nature with family and friends, opt for horseback riding or with ponies. Two protected natural parks are an absolute must: The Ecrins National Park and the Queyras Regional Park. 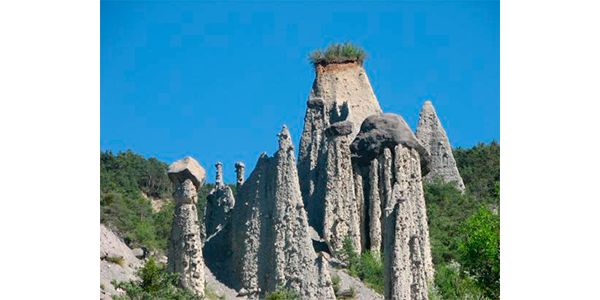 The Demoiselles Coiffées near the Lake of Sauze, more commonly known as “fairy chimneys” are original rock formations due to erosion. They are in the form of columns of various conglomerate supporting, on top, a more or less bulky stone. 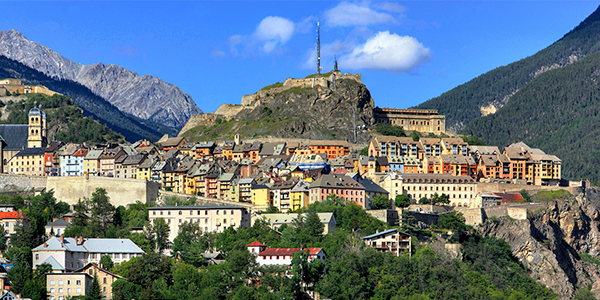 La Cité Vauban, the fortified town of Briançon and the fortified town of Mont-Dauphine are both a part of UNESCO World Heritage. Many other heritage villages deserve to be included on your itinerary – Rosans, Fort Queyras, Abbaye of Our Lady at Boscodon, and the highest village in Europe at Saint Véran in the Queyras or Névache in the Briançon area. Different animations will punctuate your stay: The Jazz Festival in Serres, pottery, paining on silk, wooden toy workshops in Montclus and Saint Julien en Beauchêne. 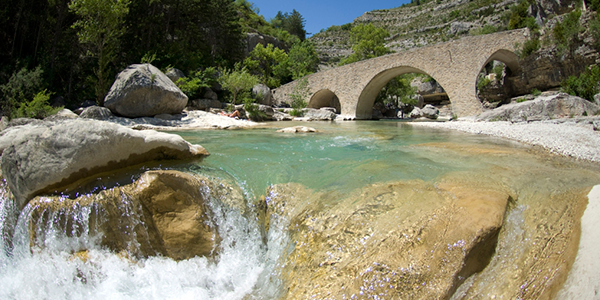 You’ll find the specific dates at the Tourist Office in Serres. Discover the farmers markets in Serres on Tuesday and Saturday mornings, in Laragne & Veynes on Thursday mornings or in Eyguians on Sunday mornings. Of course, Lison will welcome you at her restaurant Le Cabanon and will concoct a delicious dinner!